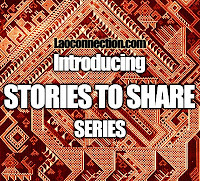 Laoconnection.com: How Lao are you? The following is a culmination of my many discussions I've had with family, friends and relatives in varying degrees of seriousness. In particular it's from the perspective of Lao people living not in Laos but abroad and the question of how one's own personal conviction on culture and situation of living abroad have affected how Lao they and their families are. 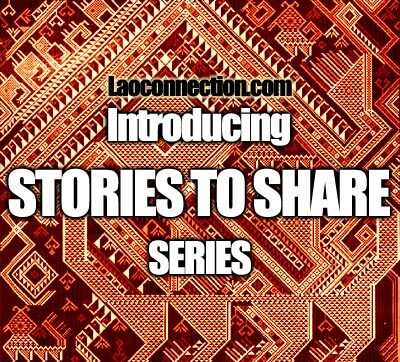 It's an interesting topic I thought I'd share with readers today, as part of the Laoconnection.com Stories to Share Series. I've always found it fascinating to see how different families contend with this and in essence why one family is more Lao than another. Learning about the decisions they make in this regard and why makes for some interesting discussions. For example, why do some parents speak Lao to their kids but others don't. Why do some people feel compelled to pull away from the community while others are more involved? 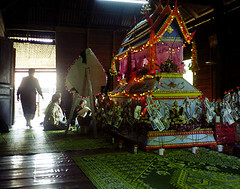 Why do some go to the Lao temple and parties and others chose not to? The answers to some of these questions will also lead us to answer how involved future generations of Lao children will be in the community. In finding the answers to some of these questions I came to some interesting conclusions that I'd like to share with our readers. 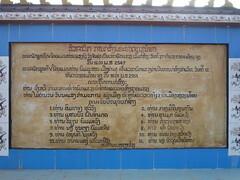 In terms of Lao language use in the home, some families choose non-Lao language out of what they believe is a necessity. In other words, because they think that the child will have no use for Lao in the country they reside in or because they fear the child will have difficulty trying to learn too many different languages. In other cases, the parents want to help the child learn the foreign language so they choose to speak that at home rather than Lao. For example, I have a Lao cousin who lives in Germany and who is married to a Polish lady and they have a daughter. Effectively, the parents have 4 language options: Lao, Polish, German and English (which is like a 2nd language in Germany). Similarily for Lao people living in Canada where English and French are official languages, Lao children are faced with not only trying to master Lao but also English and French. Some will opt to speak either of those languages instead of Lao. It's a tough call of whether to use Lao more regularly at home. My personal conclusion on this is that it's important to speak one's native language at home. Furthermore, children will eventually learn the other foreign languages just fine. Speaking Lao at home is important primarily for cultural preservation reasons but also because it's fun knowing a language that generally no one else around can speak. I can just remember all the funny things my sister and I used to say in public that we would never dare say in English around other people. It's important to note that they will learn and adapt to other foreign languages quite well. In fact they will likely be more exposed to foreign languages rather than Lao. So really, if it weren't for the home and the family, they'd likely lose any Lao language abilities and have very little opportunity to practice their Lao skills unless they have Lao friends to speak it with. It's a sad situation because that's a part of losing one's culture. Unfortuantely the loss of one's culture, could mean very little for some - to each his/her own. As many of us are aware, the Lao community is full of internal politics and gossip. This is one reason often cited by those who choose to remove themselves from the community. Other people have additional reasons, such as personal preferences where they may simply have no interest in interacting or assocating with other Lao or the Lao community. Another reason is personal conflict issues between themselves and specific individuals in the community. In other cases, you'll also find individuals who have grown so far a part from their Lao heritage and that they have purposely assimilated into the foreign culture they were raised or have lived in. Often times those reasons are out of shame of being different. While some people may argue that's understandable that they wish to assimilate. I would argue that it's a shame to loose one's heritage. Furthermore, I would suggest that there be a balance between keeping and maintaining your heritage and adapting to a foreign culture. Others might also point out that assimilating into another culture is natural after several generations of living abroad. In other words, for some it's unintentional but also inevitable when living amongst an ethnically and linguistically different majority. The answer to how involved will the younger Lao generation will be often comes down to parenting. 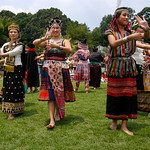 If the parents are involved in the Lao community, cook Lao food, speak Lao at home and have Lao friends and relatives, there's a strong likelihood that the children too will be involved in the community as an adult and will be able to pass on the culture to their own kids with much greater ease. Whereas, children who are raised removed from the Lao community or with the absence or exposure to Lao culture, will tend to be quite distant from it as they grow up. In this case, some may be drawn to learn a bit more about their heritage but generally it won't be anything deep or committed but more of a minor curiosity. On the hand there are those who, irrespective as to how they were raised, feel drawn to learn more about their cultural heritage, background and language. It is to say though that some people feel it more strongly than others. For those where the desire is strong, it can be characterized as a deep seeded desire to fully understand and appreciate Lao culture and be accepted into the community on some level. 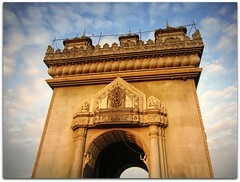 Moreover, for some the desire is even strong enough that they want to move to Laos or at least visit it regularly. This might be considered a touchy subject - the degrees of how Lao a person is. And how would one define it? Is it by blood? Is it by how much one knows about the culture? Is it by one's fluency of the language? Is it determined by where you live or where you were born? Or does it come down to how involved the person is in the community? There are definitely different degrees of Laoness. We all sort of have own barometers of how we determine how Lao someone or ourselves are. It's not uniformly defined but we all have our opinions on it. For example, you can be a Lao person who speaks a lot of English and have a little bit of Lao in you and yet have tremendous drive to learn all that you can about Lao culture. Or perhaps you were raised very Lao but for some reason grew very distant from Lao culture as the years wore on and essentially began to forget about your heritage. Or perhaps you were born and lived in Laos but felt the need to leave the country. 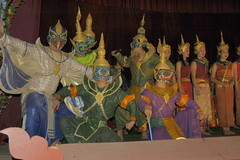 Or perhaps you live in Laos but are not of Lao heritage at all but perhaps you've embraced the culture. When you consider these varying scenarios and think to yourself "how Lao are some of these individuals?" then it becomes a bit harder to decide. These scenarios I mentioned are but a few of the real life situations of many people around the world. In the situation where people have assimilated into another culture, it has been said that in some cases it's understandable because there may be little or no Lao community where they live. Therefore the person will have very little attachment or need to speak Lao, for example. This leads us to our next section below. Admittedly, the Lao community in most cities are small with the few exceptions where thousands of Lao have settled in say California or Minnesota or in France. However, the bottom line about the success of any community is this: A community is stronger if it sticks together and helps one another. The more people who help out and the more together everyone is, typically the stronger the community will be. What's more, they will be much more able to financially and socially contribute to group causes (ex. raising money to build a Lao temple). Community cohesiveness is key to communal success. One of the wonderful results of having a stronger community is increased cultural and language preservation too. It now really boils down to the following questions to help determine how Lao are you? The following questions really do go to the core of determining one's Laoness and no, I won't ask if you like bpadek or not (though if you do, that's certainly does count as points for you!). 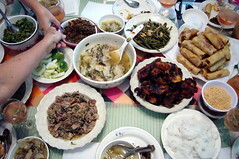 Do you eat and/or cook Lao food? Follow-up: If you have a low level of cultural knowledge, do you have a desire to learn more about Lao culture? If you answered yes to most of these in that you are ethnically Lao, you have very good language abilities and are knowledgeable on Lao culture, then you definitely have a high level of Laoness and are likely living it proudly. You're also likely someone who is source of information and advice to others on Lao culture. Conversely, if you answered no to most questions and have low level Lao language abilities and knowledge of Lao culture, then your degree of Laoness is also low. Perhaps your relation to Lao culture is merely through family heritage (bloodlines) but beyond that you have very little Lao cultural knowledge or desire to learn more about your ethnic heritage. If you don't agree with these questions, how would you measure degrees of Laoness? What questions would you pose to help determine such a thing? Feel free to comment below. - Submitted by: VM. Disclaimer: All views presented here are those of my own and from my research and discussions with other Lao people. They do not necessarily reflect the opinions of those of Laoconnection.com. Additionally, all photo images above were sourced from Flickr and belong to their rightful owners. 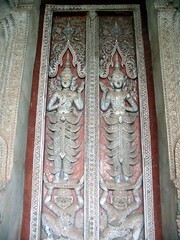 Does This Entice You to Want to Visit Laos?